Lettuce Wraps are a classic Asian dish that I fell in love with when dining at PF Changs, and now it’s one of my favorite things to make at home. It’s so easy! I can’t tell you how many different ways I’ve made these lettuce wraps, and that variety is part of the beauty of this recipe. 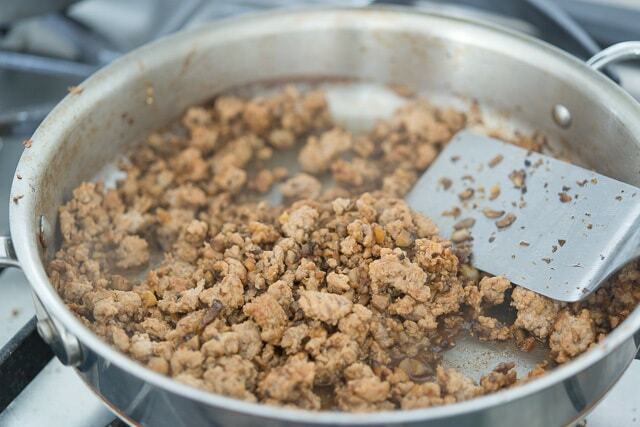 You may use whatever type of ground meat you’d like here. 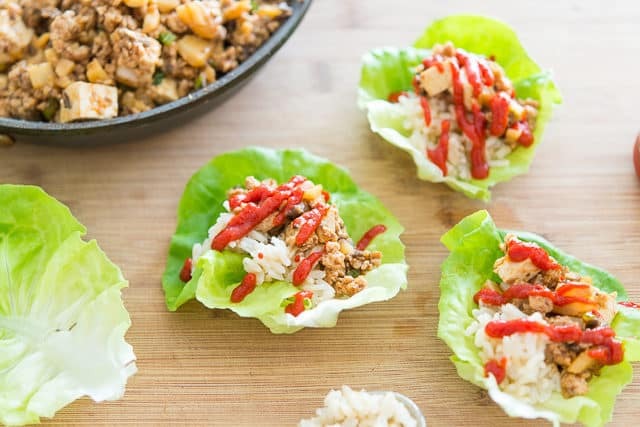 Make them chicken lettuce wraps, turkey lettuce wraps, or pork lettuce wraps, and they’re all delicious. 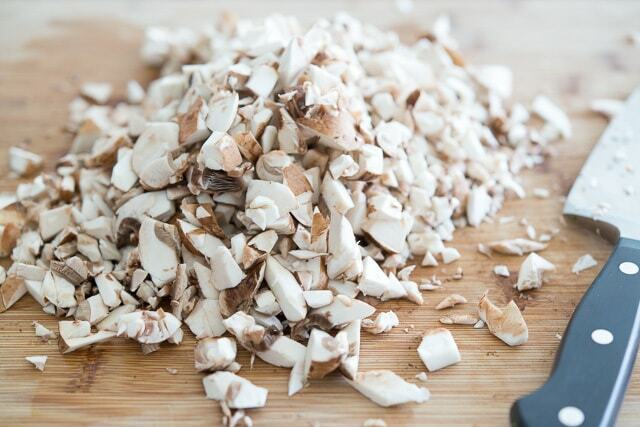 Sometimes I also like to add finely chopped mushroom to the mix for added nutrition and flavor. It’s so versatile! 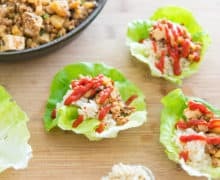 Besides the fact that lettuce wraps are crazy delicious and full of many wonderful textures, it’s pretty quick and easy to make. Prep takes 5-10 minutes, and cooking it takes 15. Throw some rice in the rice cooker before you start, and you’ve got dinner on the table in 30 minutes. 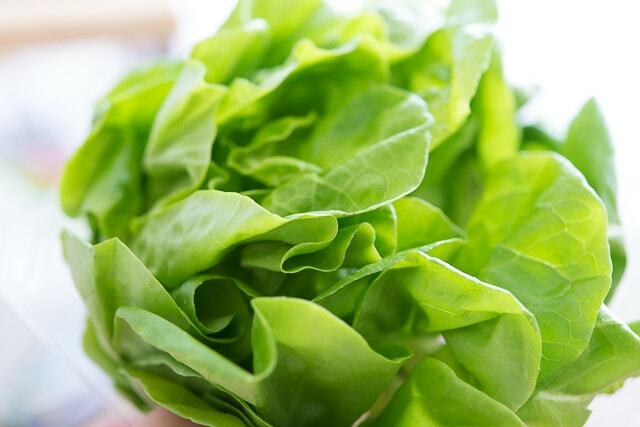 My favorite lettuce to use is Butter lettuce, but if you can’t find it, Romaine hearts work well too. They’re more like “lettuce boats,” but they have a nice crisp texture. 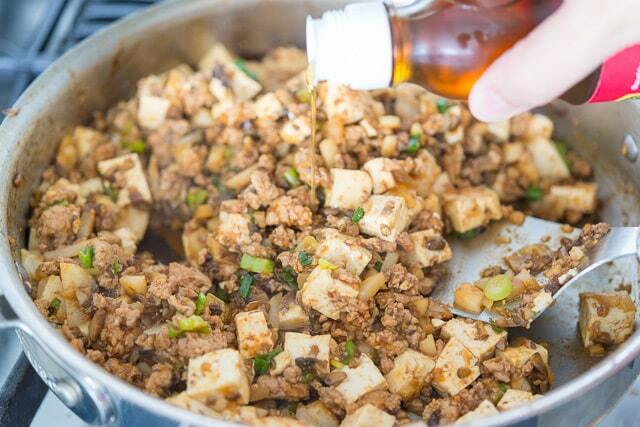 You want to use a firm tofu for this recipe, so the cubes don’t fall apart while you stir. Make sure to use dark sesame oil for this, as it tends to have more flavor and aroma. 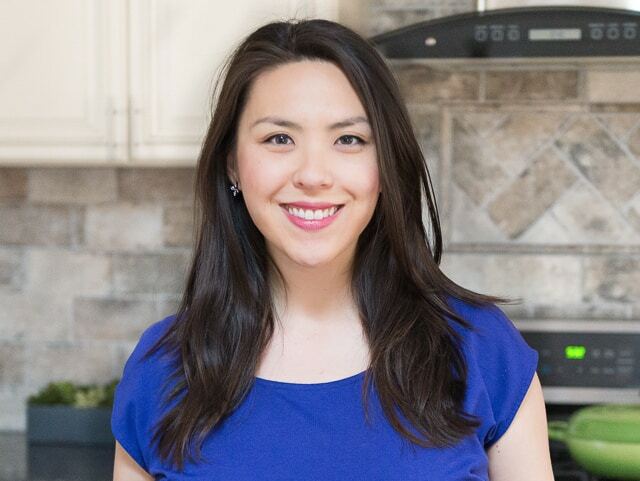 Fried Rice, Orange Beef, and Kung Pao Chicken are some of my other favorite Asian recipes to make at home. 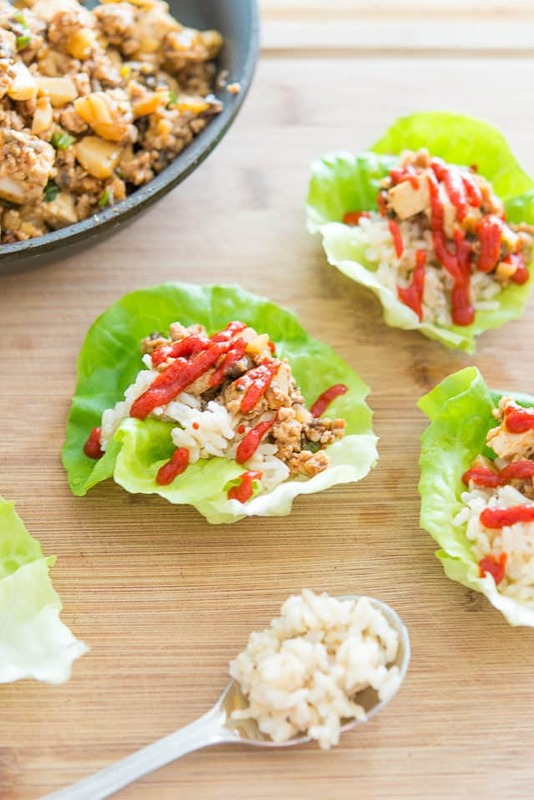 Can Lettuce Wraps be Made Ahead of time? Absolutely! 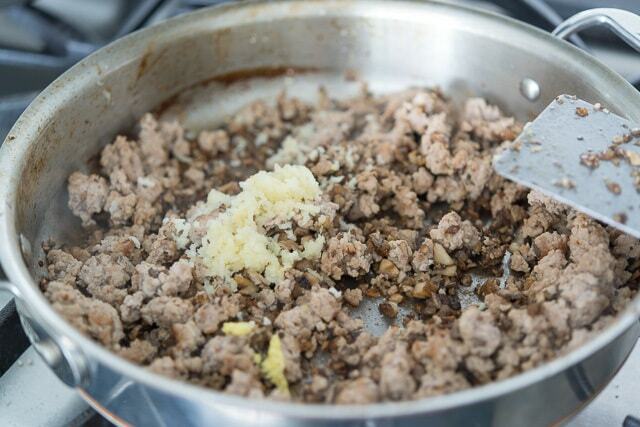 You can make the meat mixture and rice ahead, then keep in the fridge until ready to serve. Lettuce Wraps are a classic Asian dish with tons of flavors and textures, and leftovers keep beautifully! Heat a large skillet over medium high heat and add 1 tbsp of the oil. The oil should be shimmering, indicating that the pan is hot enough. Add the mushrooms to the pan, and cook for 5 minutes, stirring frequently, until the mushrooms are browned and have lost a lot of their volume. 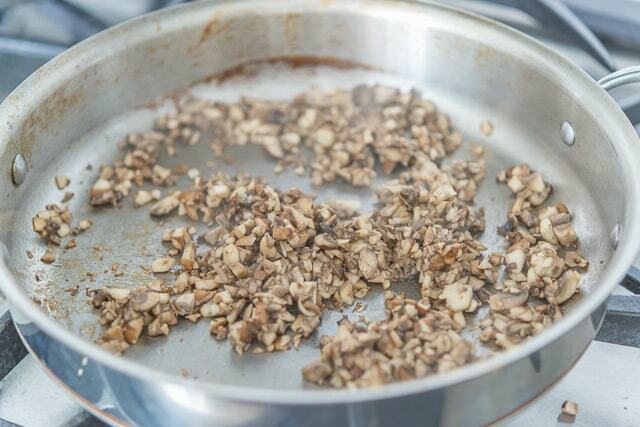 Remove the mushrooms from the pan, then add another tbsp of oil to the skillet. Cook the turkey for 4 minutes, until browned and cooked through. Return the mushrooms to the pan. Add the garlic and ginger to the pan, then stir it around for 60 seconds until aromatic. Add the hoisin, soy sauce, and sriracha, and stir around to coat, cooking for 2 minutes. 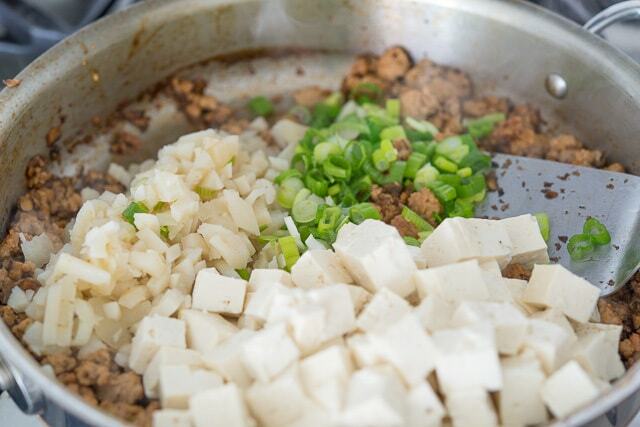 Add the scallions, water chestnuts, and tofu, and cook for another 2 minutes, stirring frequently. Finish the dish with the sesame oil, and remove the skillet from the heat. At the table, fill each lettuce cup with rice and a big spoonful of the meat mixture. Enjoy! *Ground chicken and ground pork are also great. Post updated in October 2018. Originally published August 2014. This sounds so good and has most likely not too many calories. I will try it tomorrow. Thank you for sending the recipe. Hope you enjoy it Christa!